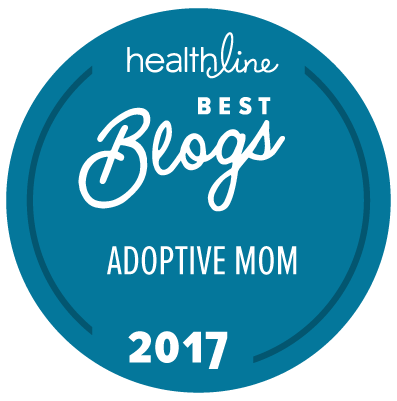 How To Find Hope On The Foster And Adoptive Journey. Adoption and foster care can be filled with loneliness, desperation, and defeat. We know you love your kids, but it’s hard when you have to walk through your child’s past trauma with them. Can you really find hope in-spite of this? The answer is, yes. It starts by understanding something powerful and true. “I don’t think I can take one more day of this,” I said, glaring at the table, with a clinched fist and gritting teeth. My friend agreed. Many colorful words were exchanged between us, that morning, as we sat talking in a restaurant. The steam from our coffee snaked and twisted through the air, disappearing, as if hope was slowly disappearing with it. We shared similar wounds. Both of us had children adopted from foster care and both of us were in very dark and desperate situations. We both loved our kids deeply, but recognized that, out of their trauma, they behaved in certain ways and it caused our exhaustion to abound. My son screamed obscenities at us in public, destroyed things in our home, and held our family hostage, while his son routinely lied and threatened to kill kids at his school. Needless to say, it was a good thing we were meeting in the early morning, and not the evening, because we needed something to start out day off on a positive note. There we were: Broken…desperate…hopeless…but together. Together. There’s something powerful about that word, isn’t there? Say it to yourself: Together. It kind of fills you up, doesn’t it? Truth is, the road of adoption and foster care is filled with brokenness, despair and a lot of hopeless days. Let’s just call this journey what it often is- lonely! It’s lonely because most of the world will never understand why on earth someone would take a child into their home, that wasn’t biologically theirs. Alone, isolated, and misunderstood is a pretty desperate place to be. The loneliest feeling in the world is to feel like there’s no one in your corner, no one to lean, or no one who gets you and your family make up. We’ve walked this road many times in the past. In fact, the first few years of our adoption and foster care journey, we were basically on our own. There were no support groups, no one in our community (that we had a relationship with) who fostered or had adopted. It was a lonely journey. I deal with my child’s traumatic past. I suffer the scars of my child’s repeated rejection. I feel my child’s special needs are a reflection of me. I walk the road of my daughter’s attachment disorder. I hide away from the neighbors while my son throws violent tantrums, screams obscenities, and destroys my house. I cover my bruises and scratches from my child’s violent outbursts and physical assaults. I spend hours trying to help my son do homework that his brain cannot understand. I rarely sleep because my 2 year old wakes up from nightmares. I bear the brunt of my daughter’s rage. To the farthest corners of the earth, foster and adoptive parents stand together. While at times, it feels like you have no one, you actually have everyone. This blog is a testimony to that. We get you. We understand you. We’re in the trenches with you and we bear the same scars and wounds as you. Together….we deal with our child’s traumatic past. Together…we suffer the scars of our child’s repeated rejection. Together…we come to the understanding that our child’s special need has nothing to do with us. Together…we walk the road of our daughter’s attachment disorder. Together…we face the neighbors while our son throws violent tantrums, screams obscenities, and destroys our house. Together…we uncover our wounds and begin to heal. Together…we find resources to help our son learn. Together…we lean on one another in-spite of our sleepless nights. Together…we rarely sleep, but get a cup of coffee and trudge through the day, a little less exhausted than the last. Together…we bear the brunt of our daughter’s rage. Together. Not alone. Never hopeless. Always supported, held up, held together, loved, and understood! That’s the truth about the foster care and adoption family. We are there for one another. We will never gasp or baulk at your moment of weakness when a dish needs to fly across the room or a colorful word needs to be screamed at the top of your lungs. We’re on this journey together. We live through the difficult days alongside of you. You are not alone! There’s an abundance of power when you discover how true this is! In my brand new book, Confessions Of An Adoptive Parent: Hope and Help from the Trenches Of Foster Care and Adoption, I talk about this powerful truth through stories, practical tips, and real-life examples. I’m excited to share that it’s available for pre-order now. This book is an anthem of hope, created to encourage your heart! That morning, both my friend and I walked out of that restaurant empowered. Not problem free, but empowered. We knew beyond a shadow of a doubt that we were in this fight together. And because of the power of together, we would make it to the next day, and the day after that. Fact is, you and I are not alone. That’s how we can have hope. Together. Question: Have you discovered the power of together? What have you learned? If you haven’t discovered it, how can we help? You can leave a comment by clicking here.